Demandbase offers the only comprehensive set of marketing solutions purpose built for the account-based needs of B2B. The B2B Marketing Cloud is the first set of end-to-end solutions that connects marketing technology across the funnel and optimizes it for B2B performance. Starting with Performance Manager and Web Analytics, and including Advertising, Personalization and Conversion solutions, B2B marketers now have an unprecedented ability to get results from their existing marketing technology. 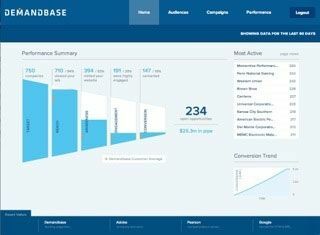 Demandbase, a marketing technology company, is acquiring a Data-as-a-Service (DaaS) company that aggregates and segments complex data sets. 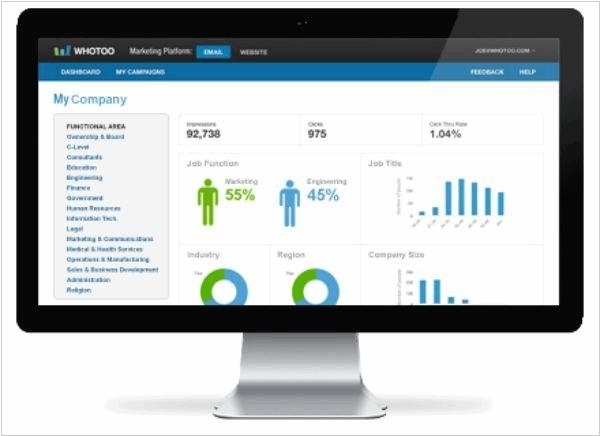 Demandbase plans to combine its patented real time IP identification technology and account-based marketing (ABM) data assets with WhoToo's behavioral, functional and persona profiles to help companies target and engage customers. Unlike mass marketing, ABM is a targeted approach that enables customers to leverage account-based data across advertising, web activity and into their marketing automation and CRM systems.